As the alarm rang at 5:00AM on a Monday morning, Claudia Haas woke up to get ready for the day ahead. As a member of NAMI San Francisco, Claudia knew how important it was to be a voice and advocate on behalf of individuals suffering from mental illness. She took the three hour Amtrak bus from San Francisco to Sacramento to attend NAMI California’s 2018 Fall Capitol Advocacy Day. On September 24th, 2018, more than 45 NAMI California members met at the capitol to talk to legislative staff about NAMI priorities. Members traveled from more than 20 counties to discuss the importance of supporting access to mental health; ending the criminalization of mental illness; providing access to mental health services for K-12 & Young Adults; and investing in crisis services. Attendees were passionate and excited to talk to staffers about mental health and to share their experiences. Attendees shared stories about supporting a family member living with mental illness, working with the mental health community, and living themselves with mental illness. 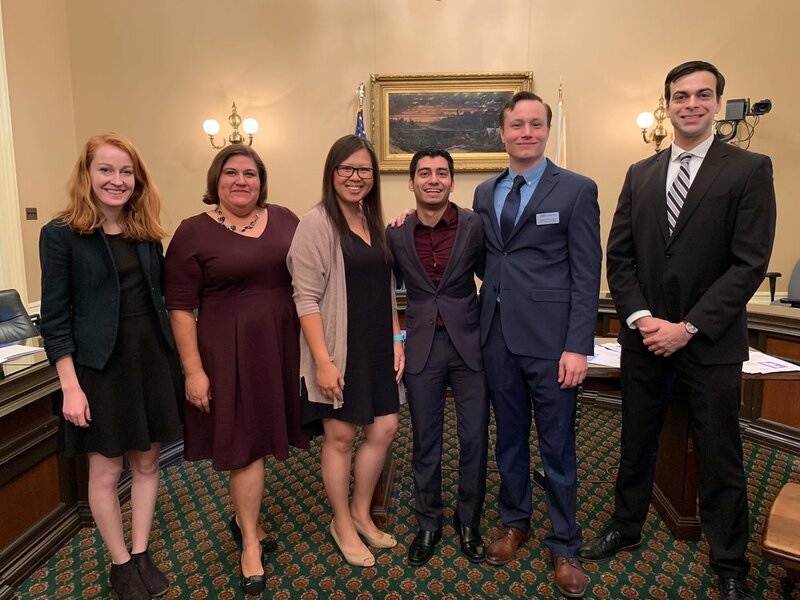 The timing of the advocacy day, after the end of the legislative session, meant that advocates were able to engage more deeply with legislative staffers. Many participants shared the fruitful results of 30 and 45 minute meetings at our afternoon debrief. Thank you to all the advocates who joined us for a successful day. We look forward to connecting in support of advancing mental health goals in the upcoming year. A few NAMI CA members ready for their next legislative visit!